Kirsten Jones: "These are the greatest years of my life." Congratulations Kirsten for completing another first photo-shoot challenge with us! What was the best part of this journey? Another year of persistent work, but not perfect work. 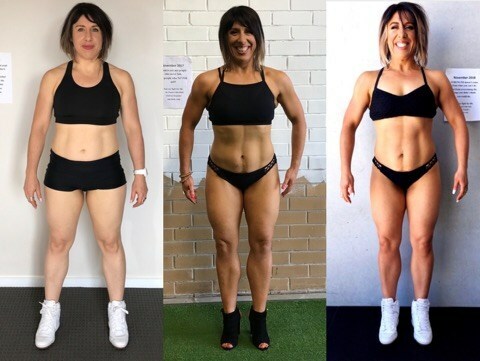 Personal growth which is what I love most about the transformation journey, feeding myself better consistently with a variety of nutritious choices and training consistently, which built me the body of my dreams! What was the biggest habit holding you back? And have you conquered it completely yet, or still working on it? I’ve always allowed my emotions to drive my thoughts and actions in life. I wasn’t conscious of my feelings and how allowing myself to feel negative or allow the negativity of the world come in and drive my thoughts and then my behaviours. It’s been a year of growing awareness around emotions and now knowing that I can experience life and all its emotions but choose to feel centred, strong, happy and loving throughout the ups and the downs. My emotions often drive my behaviours, like eating carbs when I’m tired or rewarding myself with food or not doing food prep because I’m tired. I’ve eliminated the “junk food as reward” habit this year by creating staples that I enjoy. 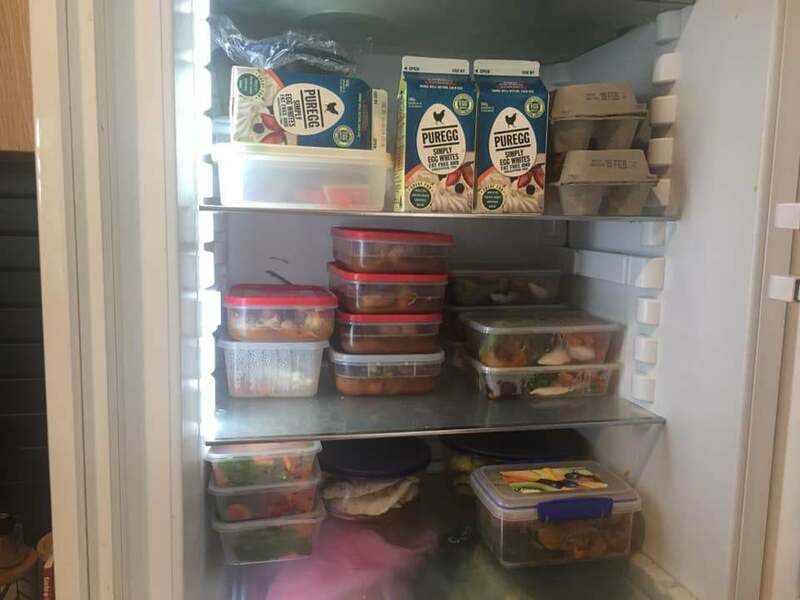 I’m now focusing more on food prep so that I have the right foods around me at all times so that I can improve my results. What did you struggle with the most on this journey, and how did you overcome it? I struggled most with not having a goal that meant something to me that drove me to dig that bit deeper. But as I do, every year, living this lifestyle, I plugged away anyway and it always over-delivers which is an absolute delight to me! This year it was in the process of just hanging in there and persisting, and taking the learnings that I discovered what I wanted to create. So that is exciting me at this moment and looking ahead to 2019. What did you find the easiest? It is the easiest thing to not do food prep. It just never seems to end, the shopping, prepping and eating! It really is hard work to stay on top of it, but if I want the outcomes I have to do the work, so that means linking it to my goals. What advice would you give to someone who resonates with your story and might be struggling? Show up and keep on trying! Never give up! In bullet point form, list 3 ingredients that you feel are vital to a successful transformation? Really get to know yourself by recording data and assessing whether what you are doing is working or not. Stick at the program until you get the results you really want so that you can continue to evaluate and evolve so you can live your best life. I started dieting at age 15 in an attempt to change my outer appearance. This led to a 27-year goose chase, continuously worsening my health and mental health. At age 42 I quit work because of anxiety and depression. At age 43 I stumbled upon the MP program where I began the work of changing a lifetime of habits. The last 5 years have been the greatest years of my life. They have been full of challenges and ups and downs, but with the tools that this program gives me, the quality of my life and my happiness increases every year. PS: You can read more about Kirsten here.